Talk about giving your tweens bedroom a makeover with this funky Home Stripe Comforter Sets. 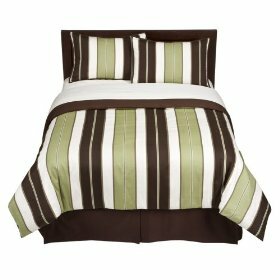 There are 4 coordinating pieces in this bright and bold striped bedding set. So what is included in this 4 piece set? Because the set is made from 100% Cotton and the comforter has 100% polyester fill, it means it is easy to clean as it can be popped in the washing machine and the Tumble dryer. There is a Clone Wars comforter which will compliment these sheets and they feature classic Star Wars Characters such as Darth Vader, Yoda, C3PO and R2D2, all drawn in Japanese anime style. All exciting characters that your young Jedi-to-be will identify with. I guess as mothers, we tend to think of our youngsters when considering buying Star Wars bedding, so I had a laugh when the first review I read was from a young man in his thirties who had brought it for himself. And of course it makes perfect sense, Star Wars has been popular with many generations for quite some years now. His only complaint was that Chewbacca looked a bit feminine, and other than that he was delighted with the set. Some mom’s felt the material was a bit rough but the kids didn’t seem to mind as they loved the bright, bold, colorful characters. 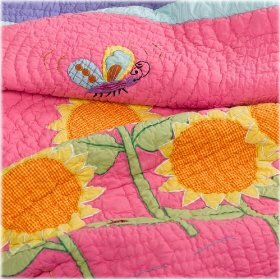 The sheets and comforter are made from fabric with a 30% cotton and 70% polyester mix, and the comforter has a 100 percent polyester fill.This means that all the items in this set are all easy to care for and cam be machine washed and dried. Currently you can purchase just the polyester sheet set which includes a fitted sheet, flat sheet and pillowcase. There are other accessories such as a decorative sham, a decorative pillow, drapes and window valance that can purchased separately to give your bedroom a completely coordinated look. 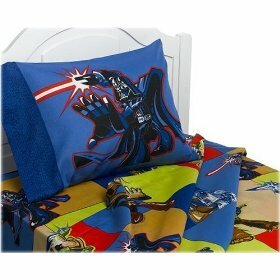 Plus there are plenty of other Star Wars bedding options available at Amazon. 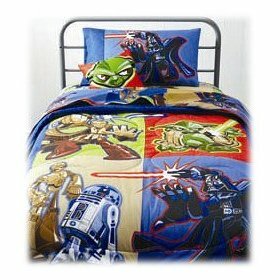 Where Can I Buy The Star Wars Bedding Collection for my Young Jedi or for Myself? Just wait to see the sparkle in the eyes of your little princess when you present her with the Princess Ribbons & Roses comforter set and coordinating sheet set. 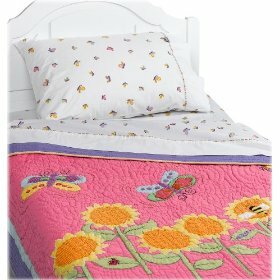 Just made with little girls in mind this Disney comforter set features three of Disney’s magical princesses which are appliqued onto the cover and embroidered floral and ribbon accents. The comforter set has a 180 thread count and is made from cotton rich fabric of 55% cotton and 45% polyester, so it is easy to care for. Your young lady will be whisked to a magical place where she can pretend to be a beautiful princess. 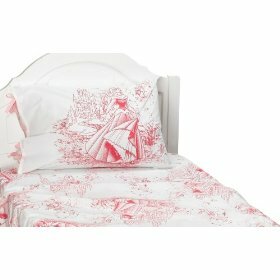 The Princess Ribbons & Roses sheet set , which is available in both twin and full sizes, can be purchased separately to give the bed a totally beautiful coordinated look. 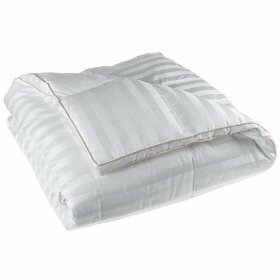 The sheet set has a 180 threat count and is made form 55% cotton and 45% polyester fabric. The set has an all over character printed pattern. 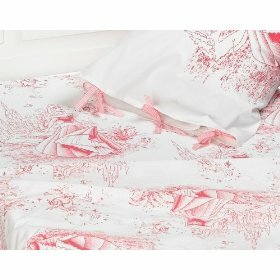 The pillow cases are tied with pretty pink ribbon. 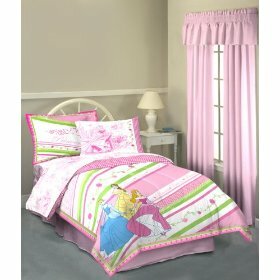 Where Can I Buy the lovely Princess Ribbons & Roses Comforter Set & Sheet Set for my Little Princess?